You must be a member of the Heidelberg DinnerNations Group to attend this activity. Would you like to join this group? let's do it again one of the activity that received many highly positive feedbacks last year... Flammkuchen All you can eat! 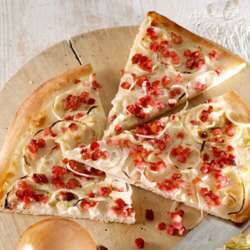 Please, bring your good mood with you and be ready to try many and different flammkuchen! As usual, cancel your partecipation if you are not able to come anymore to give someone else the opportunity to come.